Featuring a Stiletto Heel and Martini Glass. 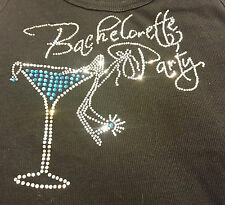 with Shiny Blue and Clear Rhinestones. Fits to size. Worn once and washed. 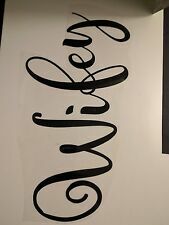 Iron on wifey decal for shirt. Does not include shirt. Very cute! Size 9-10. Can be altered. Worn once.